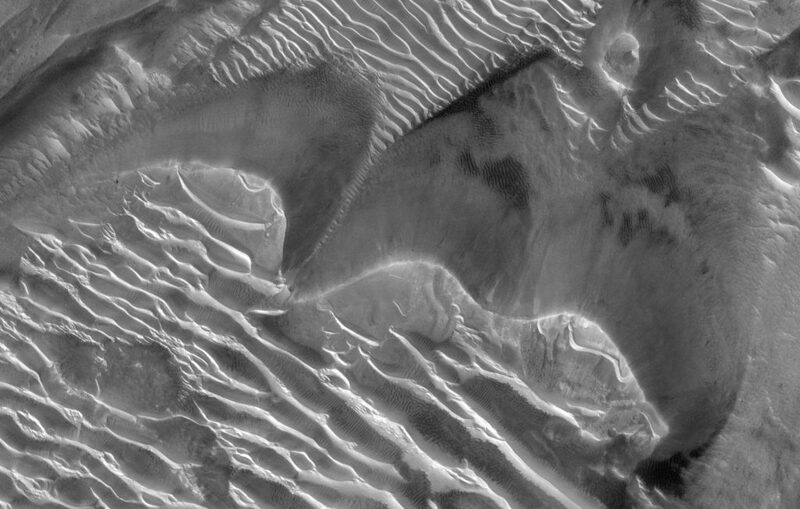 I think I understand how Terran transverse dunes and barchan dunes can move downwind while maintaining a semi-stable shape. 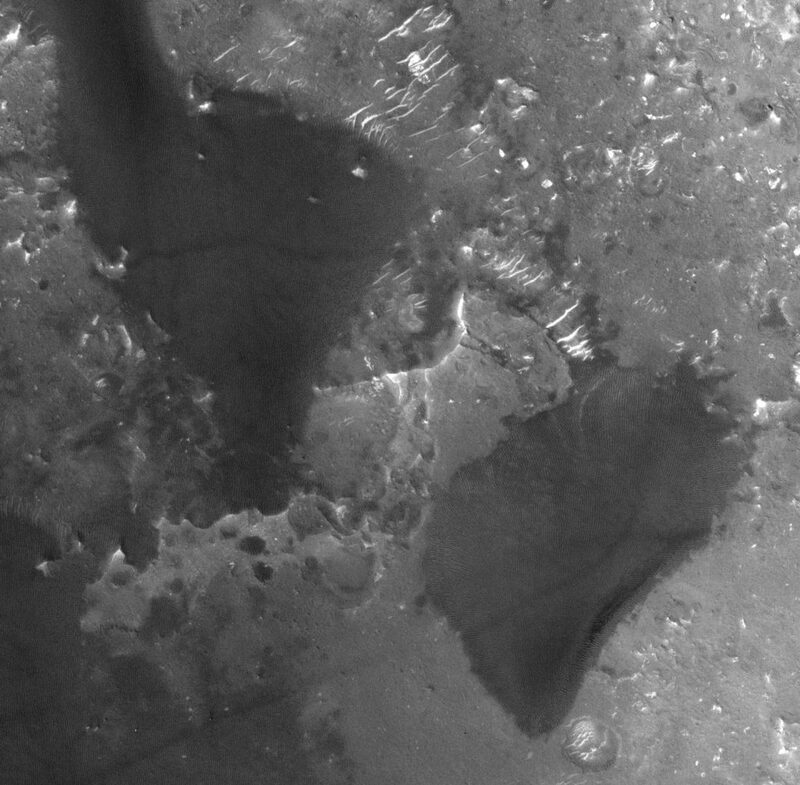 The long slip faces running across the wind effectively trap much of the sand that is moving through the dune environment. 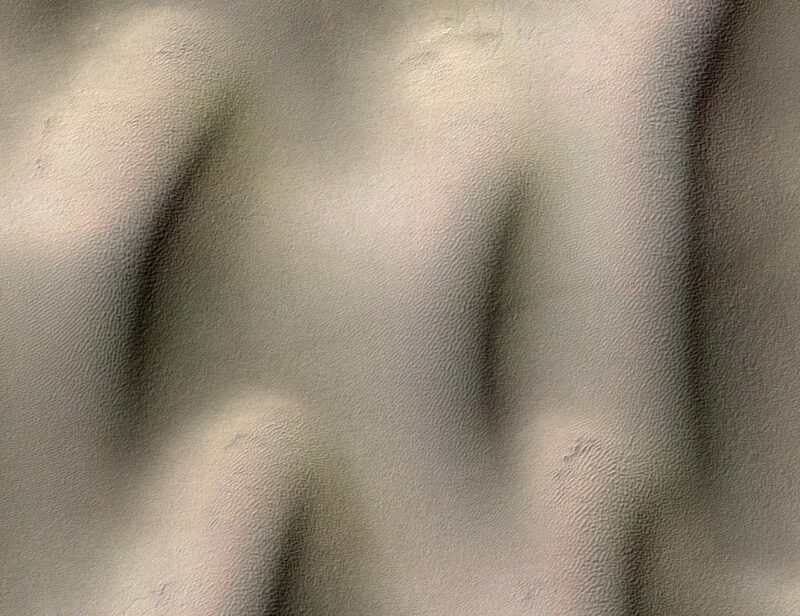 Could the dark dunes in this image move and maintain a semi-stable shape? 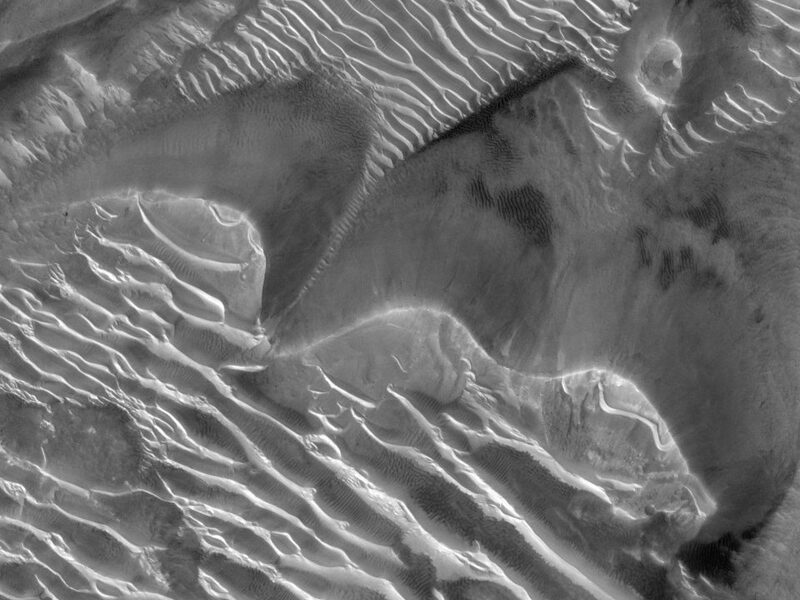 There’s one slip face on the “leading” half of the double dune, centre left, but the dune isn’t crescent-shaped overall like a typical barchan, with a long slip face almost crossing the dune at it’s widest point. It doesn’t look like it would be very good at trapping sand, but very good at shedding it from its long flanks into apparently sand sparse surroundings. 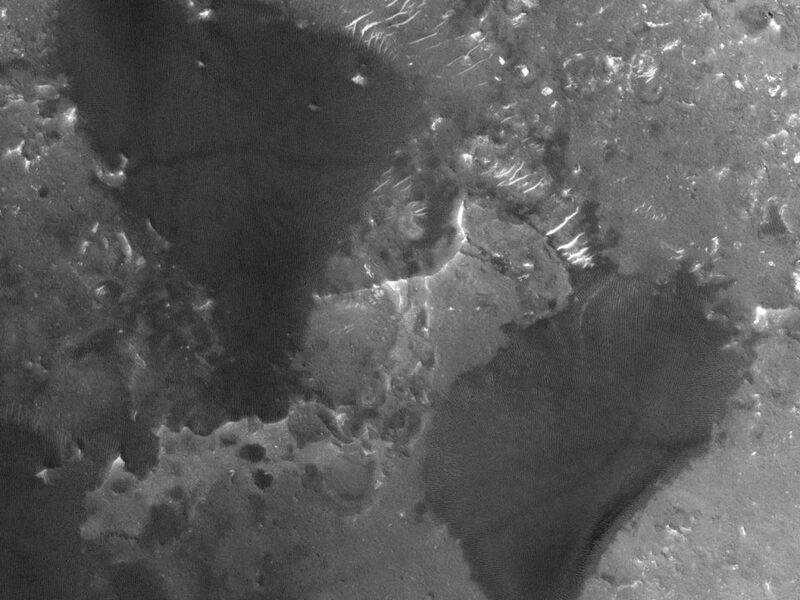 The simple dome dune with no slip faces, lower right, seems even less likely to be stable. 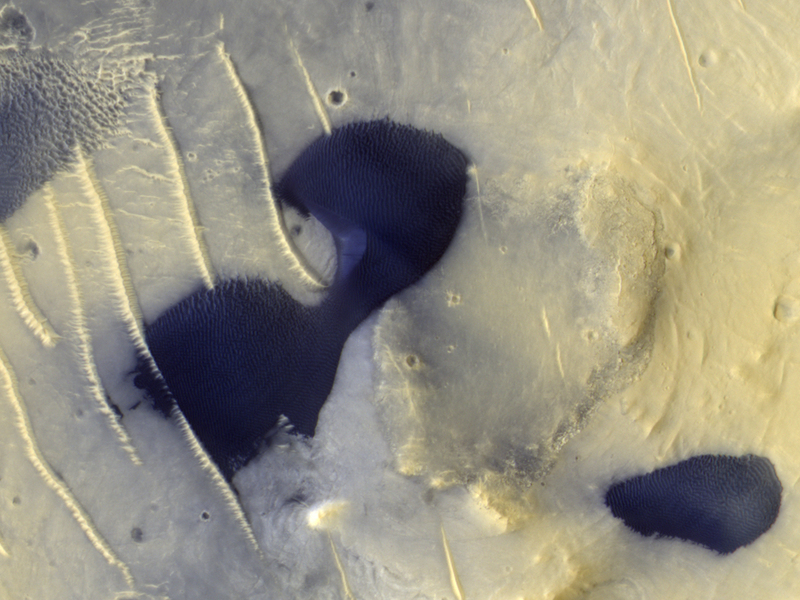 I’ve seen other examples of “barchans” on Mars much elongated in the direction of the wind with tiny barchan horns on a tapered trailing end far from the widest part of the dune. They still look a little like barchans but the story of how they form and move has to be rewritten, no? I don’t understand why these dunes wouldn’t just disperse in the wind, especially as they seem fairly isolated from other sand sources. Are multiple wind directions necessary to explain them?